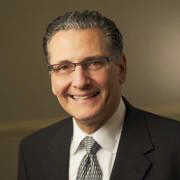 A forward thinking executive with extensive experience in health care administration, Stuart C. Kaplan provides strategic, analytical, and operational stewardship for social service, health care, long term care and managed care organizations. Under his leadership, Selfhelp Community Services, Inc., a leading provider health and human services, home care and affordable housing for aging New Yorkers, has strengthened its financial position, improved program efficiency and preserved its compassionate delivery of care. Selfhelp is also the largest provider of comprehensive services to Holocaust survivors in North America. As a transformative leader, Mr. Kaplan has led Selfhelp in the formation of care management and technology innovations to meet the evolving health care reform models serving at risk and high cost populations. Mr. Kaplan’s commitment to the wider New York community is evidenced by his committee and board participation in many service organizations. Mr. Kaplan served on the Board of Directors of LeadingAge New York, where he was President of the state-wide Housing Cabinet. Mr. Kaplan is also active in the national LeadingAge where he served on the Board of the Center for Aging Services Technology (CAST) and has been an ardent advocate for the development of senior housing with services models. Locally, Mr. Kaplan serves on policy and program development committees at UJA-Federation of New York and is active in the housing policy for LiveOn NY. Prior to Selfhelp, Mr. Kaplan was executive vice president at St. Mary’s Healthcare System for Children serving children with special health care needs and terminal illnesses. He has written and presented on the subject of gerontechnology and subacute care for adults and children. Mr. Kaplan is a licensed Nursing Home Administrator in New York State and holds a Masters Degree in Business Administration from Bernard M. Baruch College. He is a past President of Bernard M. Baruch College/Mount Sinai School of Medicine Health Care Administration Alumni Association.